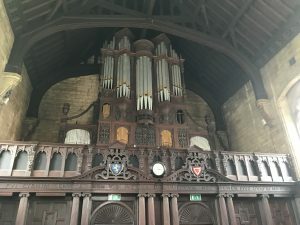 the 1680s Bernard Smith organ, and houses the Grand Orgue. 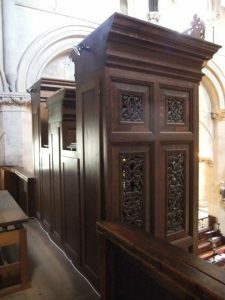 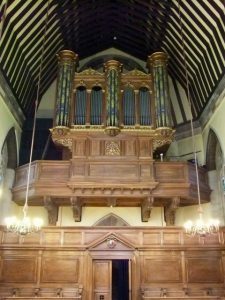 as a Choir organ case by Gilbert Scott in the 19th century. 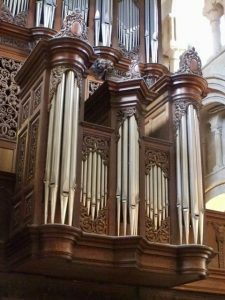 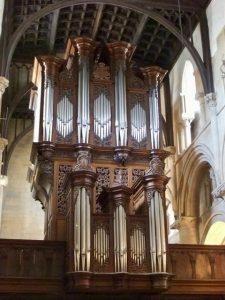 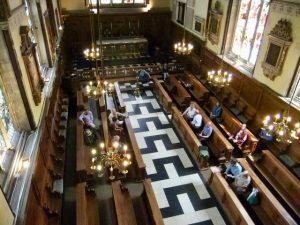 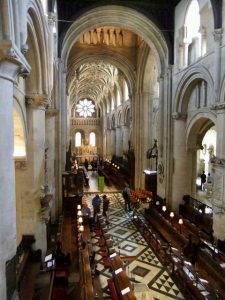 2 p.m,.- 4 p.m.Visit to the Organ in the Chapel of Balliol College. 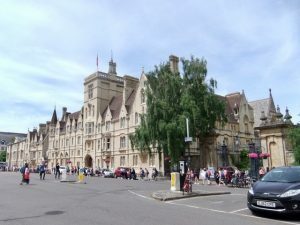 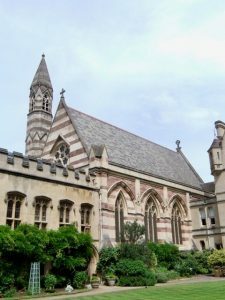 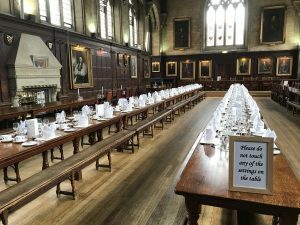 Balliol Dining Hall. 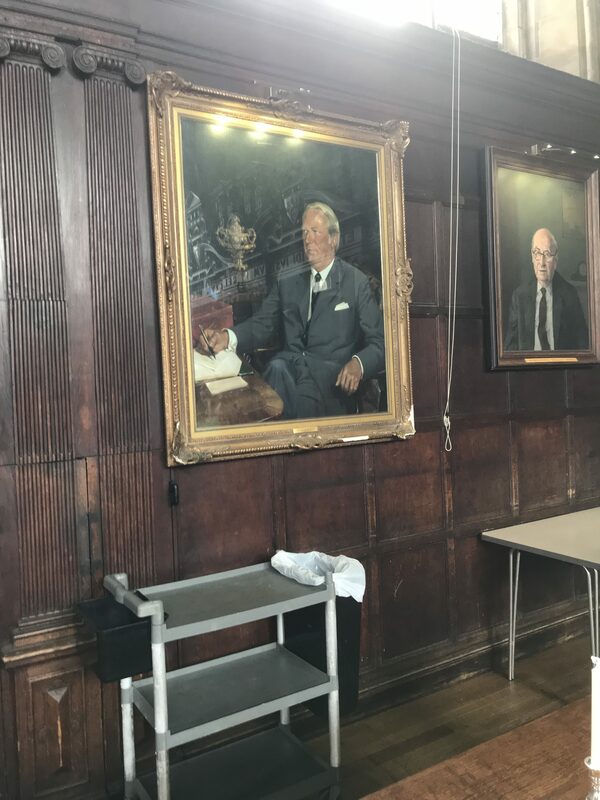 Edward Heath. 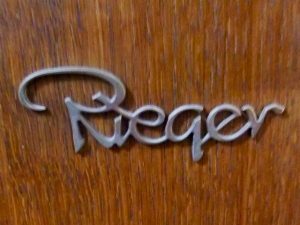 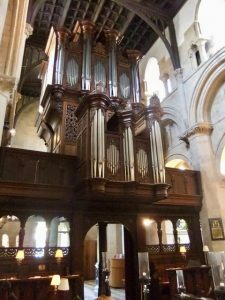 Former Organ Scholar. 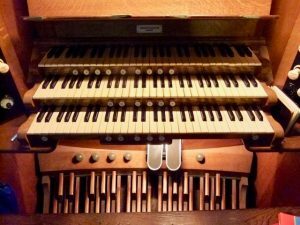 American walnut; E front of 5-7-7-5-7-7-5 painted diapasons. 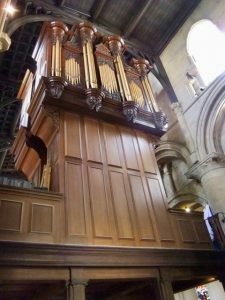 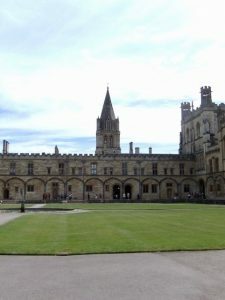 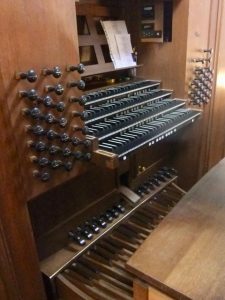 While it is possible for us to see the organ in Balliol Dining Hall, the organ has been unplayable for four years..